Winner: Can You Ever Forgive Me? 4) Melissa McCarthy – Can You Ever Forgive Me? * Love & Friendship, Allied, Hail, Caesar! *Rogue One: A Star Wars Story, Hail, Caesar! *Star Trek Beyond, Hail, Caesar! Anna Karenina is an overrated novel. The main character of the book, Anna, is utterly unlikeable and there is virtually no story with her other than that of a love affair with a younger man. The only semblance of a story in this interminable book is that of the farmer, Levin; a decent man and a thinker. Overall, the yarn that Tolstoy spins amounts to the warmth and comfort of a wet blanket. That is why I couldn’t be more impressed with Joe Wright’s adaptation. It’s almost as if he knew the impossibility of a true, compelling adaptation of Anna Karenina and comes at it with an artistic and creative eye. The film takes place on a stage; not literally nor entirely, but the scenes or strings of scenes are bookended with this stage. Sometimes the essence of the scene itself emerges and takes root on the stage or in the seats or the stage itself takes form within the scene. This style quickly manifests itself at the very beginning when the film opens back stage where Wright does well to quickly establish the mood and tone of the film and even the vibe between characters. Pullies and ropes fall in and out of frame while actors dodge backdrops and props and walk on catwalks. This continues as the story unfolds and throughout the film, the scenes transition in stunning ways. For instance, a couch in an aristocratic Russian home becomes a seat on a train bound to Moscow. The film is about the creativity and innovation of the film and less about the story, which is a wise decision. Joe Wright’s best work is his Period films, his first two of which he adapted as straight as possible. The opposite proved to work for Anna Karenina. I love a good time travel story and I’m a fan of the director, Rian Johnson. I like how Looper doesn’t go all in with its depiction of a futuristic America. Some things have advanced with technology, but something things haven’t and, in fact, some things backtrack. It’s more of a Brazil/Bladerunner outlook of the future than one where everything as evolved technologically, because, technology isn’t full proof. Laser guns aren’t used, but instead, blunderbusses are the weapon de jour for the Loopers, who kill time travelers. Hover scooters are used, but they break down and they don’t look like they’re exactly great for the environment. Cities are somewhat dirtier. Clothing and hair trends are very much a thing. People dress like they did in the 50’s and, though technology has advanced, some also carry pocket watches. Trends are still trending in the future. The film is aptly titled because it is and insinuates the looping of one particular individual who, by the end, is posed with a serious paradoxical, ethical and moral conundrum. Joe (Joseph Gordon-Levitt) and Old Joe (Bruce Willis) are the same individual, though Old Joe is coming back in time to prevent Joe from killing Old Joe, future self. I liked the way the film depicts that kid, Cid, exploding that guy with his mind. The film is about time travel and in that scene, the audience sees the explosion in slo-mo while we see Sara and Joe take cover in real time. I like Emily Blunt (Sara) in this film, though you can’t expect me to buy the fact that Cid was as old as the film said he was. I liked the mutant side story thing going on and a lot of that is due to the restraint Rian Johnson shows with this film. Everything’s just a little bit subtle. 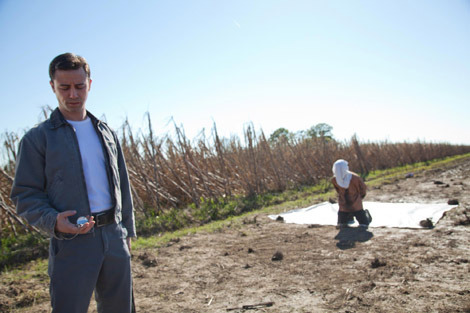 I’m the first to dislike a time-travel film due to its contradictions and inconsistencies on the space-time continuum, but Looper’s didn’t bother me one bit. Going back in time to destroy a bad guy while he’s a kid seems harsh, but necessary for the greater good. It takes a selfless individual to notice that the kid became a bad guy because of him in the first place. What you have with The Master is impeccable acting, a tuned-in score, sleek cinematography and just an all-around showcase of cinematic precision, technique and style. Perhaps, the plot is only really understood by that of the writer and director, Paul Thomas Anderson, and even then it is still a plot that remains somewhat inexplicable, I’m sure. 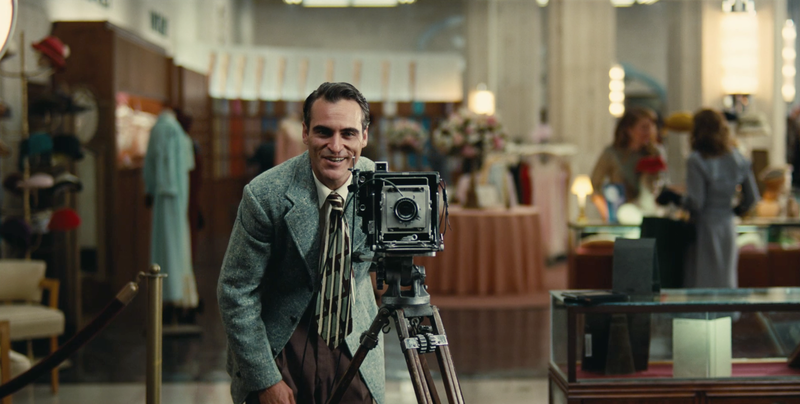 However, Paul Thomas Anderson is at the point in his career (and has been for that matter) where he makes what he wants and the finished product is precisely what he envisioned and all of the parts of the finished product, whether it be camera movement, editing or the players themselves, are all moving and performing and executing at his will. It is precisely what every director desires. Though this film didn’t necessarily make me feel good nor was I particularly entertained by it, there is no denying its genius and in 10 years’ time we will look back on this film and say, “Now THAT was a masterpiece”. Indeed, I’m almost saying it now. Anderson has never felt the need to explain to us his intentions or purpose when making movies and The Master is the epitome of that mindset. The Master has no real underlying message (if you find one, I suggest you ignore it) nor is there a moral to the story. As pretentious and icky as I feel saying it, the beauty is in the craft. Argo is a film about the 1979 hostage crises in Iran where 6 U.S. diplomats were successfully rescued and smuggled out of the country to safety by CIA operative, Tony Mendez. It’s a soothing mix of tension, intrigue, history, drama and edge-of-your-seat suspense. 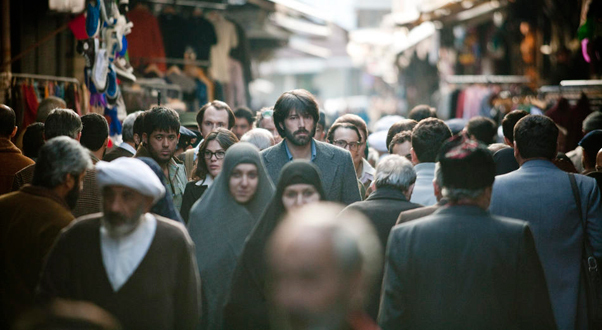 For me, Affleck improves with every film he directs and Argo is his best so far in his still young career. Argo is a successful attempt at tweaking the timing and altering the settings, harmlessly I might add, of historical events in the name of creating a fantastic movie experience. Argo also captures the mood and style of the late 1970’s really well, thanks to great art direction. Affleck takes every opportunity to create suspense and tension during the days of the U.S. diplomats being kept in a Canadian Embassy in secret, but Argo doesn’t in any way seem manipulative or contrived. Certainly, things happened in the film not exactly according to the time tables of history, but then again, this is a movie. If Argo were by the books as far as historical accuracy goes, then we’d all probably be asleep in our chairs. It takes a keen eye and a lot of controll to tweak the annals of history to create suspense and Ben Affleck certainly proved that he is able to do so. Isn’t going to the movies all about feeling something? Well, this certainly does that. When you take one of the best directors working today in Sam Mendes (even if he had never done a true action film) and couple him with one of the best cinematographers working today and you sign them up to work on a project together making the latest in the beloved James Bond franchise, how can you possibly go wrong? The Bond franchise has been around for so long that you have to keep this stuff fresh and the angle Mendes comes at it from is spot on. Skyfall manages to keep it fresh, but also holding on dearly to the nostalgia of the franchise and by way of using familiar lines or cars in this film, pays homage to the former films. Bond is getting older, as is Daniel Craig, who is my personal favorite Bond. He has a harder time being as awesome as he usually does, so what better time to the opportunity reflect on Bond’s He roots. It’s a slippery slope when a film decides to go back and see where it all came from or why our hero is the way he is, but it’s done with tact and style and when you put Deakins and his camera in the Scottish Highlands, what you get is some absolutely breathtaking shots. 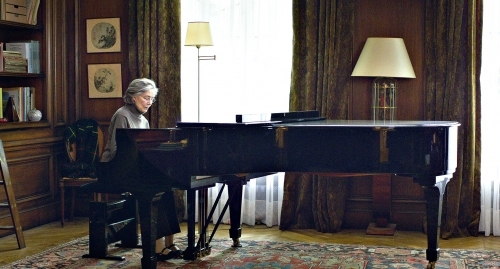 Another smart move on Mendes’ part is his extensive use of Judi Dench and her character, M. Dench has been playing M for going on 20 years and Mendes fleshes her character out beyond just the usual briefings. She’s a great actress and Mendes allows for her to bring her role to life here. Javier Bardem plays the villain and though it’s eerily similar to Heath Ledger’s The Joker, he makes it his own and it adds energy to the film. Mendes, as director of Skyfall, was a great choice and added flavor to a dying, though newly rejuvenated franchise. Sometimes I feel like I’m the only one that doesn’t resent Tom Hooper for making the best film of 2010, The King’s Speech, and winning the Oscar over the over-rated, though not to be resented, The Social Network. I like Hooper’s style and technique that he brings to the big screen and I like that he took on the challenge of adapting an epic Broadway musical and one with, perhaps, the best music. Not only did he manage to pull that feat off, but he did it with what we have come to know as his style. Hooper keeps his stamp on the film, but manages to try new things at the same time. As good as this film is it’s the moral of the story that captures my attention. A prisoner, Valjean, is released from a cold, cruel prison after 19 years, but with a probation that requires his reporting in person on a monthly basis. 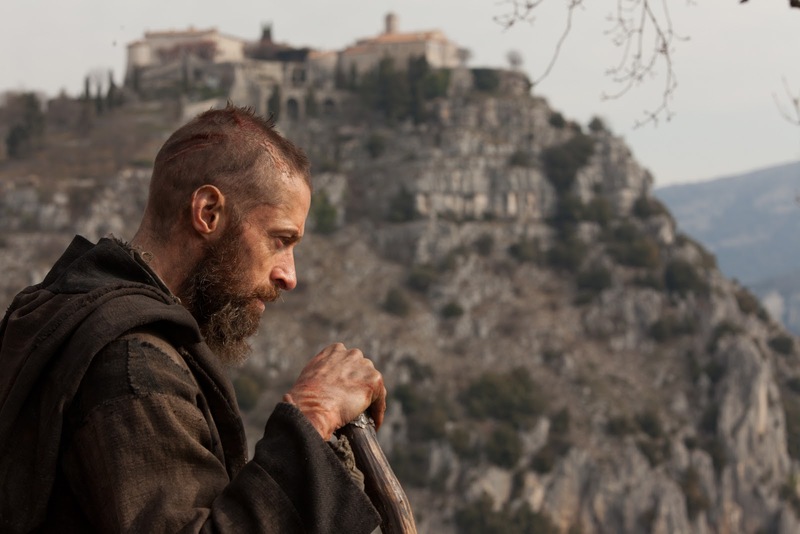 With nowhere else to go, Valjean seeks refuge in a small chapel where a kind bishop has pity and shows him mercy by giving him food and a place to sleep. Despite the kindness shown to him, Valjean makes off in the night with some of the church’s valuables and when he’s caught, instead of confirming that he stole them and sealing Valjean’s fate, the kind bishop tells the authorities that he gave them the items. Along with that, the bishop gives him more items of value (give him your cloak also – Matthew 5:40), thus not only saving his life once again, but also, through his own grace, providing him with the means to start a new one. This wonderful gesture by the bishop is the epitome of grace. Though he has a new life, Valjean is always looking over his shoulder, for he did not abide by his probation agreement. This idea of never being able to outrun the long arm of the law no matter how much time has gone by nor how good of a person you are captures the idea of despair. Grace and Despair make for a great story. What can be more exciting than another Tolkien adaptation by Peter Jackson? That right there is enough to get me in the seats at the theatre. There will come a day when that won’t happen anymore and we’ll all be thinking back on these days with longing. With all of the hoopla and negativity surrounding the higher frame rate, I decided to do it the old fashioned way so I saw this film in 2D with the normal 24 frames per second. Problem solved. Of course, I was a tad bit skeptical when they announced that The Hobbit would be told in 3 films. However, it didn’t take long for me to realize that Jackson could easily stretch this puppy out into 9 hours of film. An Unexpected Journey is a lot of fun and is basically nonstop from the point when they leave the Hobbit hole. When I’m old and gray and wise and start to look back on my life at how much better things were back in the day, one of the more pleasant movie-related reveries will be reminiscing about watching those Peter Jackson Tolkien adaptations unfold before my eyes. I gladly admit that I enjoy Jackson’s adaptations over Tolkien’s books. Where Tolkien lacks description Jackson uses as an opportunity to make the scale grander and exceed my imagination and expectations. Where Tolkien over-describes, Jackson simply edits out. 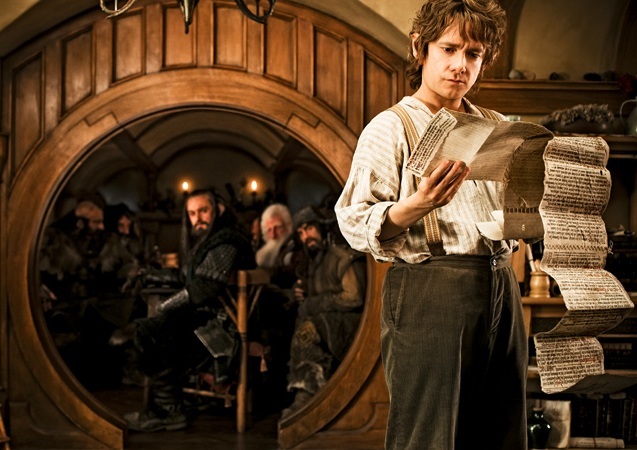 Martin Freeman as the young Bilbo was truly an underrated performance this year and one of the greater scenes in any movie this year was The Riddle in the Dark, the linchpin of the whole story of The Hobbit and the Lord of the Rings Trilogy. It was one of what seemed like a few scenes that you could tell was actually filmed on a set. Riddle in the Dark is probably one of the best executed scenes that Jackson has adapted from Tolkien. Silver Linings Playbook follows Pat (Bradley Cooper), who has just been released from a mental institution, and shows his journey back to finding the good in life and also keeping his cool. He meets Tiffany (Jennifer Lawrence), a young lady who is dealing with troubles of her own and the film centers on the two of them and their relationship and the endearing manipulation on the part of Tiffany. This is a delightful story with exceptional acting that didn’t go the direction that I was anticipating. It’s always a good thing when a film doesn’t go in the direction that I expect. If a film becomes predictable in, then it’s sort of a let-down for me and it’s difficult for a film to make that up. In cases like Silver Linings Playbook, whenever a movie goes against the flow of my expectations, then I see that as a good thing. Pat’s family in Silver Linings Playbook, played by Bradley Cooper, Robert Deniro and Jackie Weaver, make for an interesting contrast to the Ward family in director, David O. Russell’s previous film, The Fighter; both aren’t at a loss for vulgarity in their speech, but Pat’s family is a good-hearted one and they want the best for him. Silver Linings is Alexander Payne lite. At the core is a simple, though somewhat fresh, love story, but the film is not without its darkness, both comedic and dramatic. It must have been difficult to condense this 12 year story down into 2 ½ hours and in a way that is both compelling and not too much of a challenge for the audience to follow. Getting the right cast is a vital piece of the puzzle and that part was spot on. 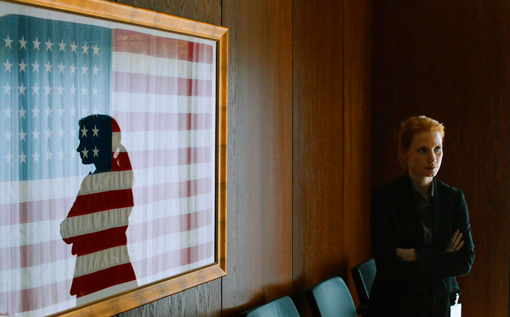 Chastain did everything that was asked of her in playing the role of a somewhat timid, though strong willed, stern and not easily shaken young woman drafted by the CIA right out of high school and whose whole adult life had, up to that point, centered on finding Osama Bin Laden. It’s an altogether unimpressive character to study, but Chastain does what is needed and with her usual gusto. The last half hour, which marks the raid scene at the Bin Laden combine, is some of the most riveting of scenes I saw this year. Bigelow is the best at military/war films right now and a lot of it has to do with her just not overdoing it with explosions or effects or dialogue. Her control over her films provides a sort of dark elegance I’ve not seen before and it is quite evident during the raid scene, which is as riveting and edge-of-your-seat kind of filmmaking you’ll find. Quentin Tarantino backs off from his overly-long, self-indulgent dialogue-filled scenes that made up Inglorious Basterds (as I digress from my overly-negative dash-filled comments); those scenes that oozed with hand-crafted suspense and clever, light dialogue held in high contrast to the solemnity and depressing mood of the scene itself. Instead, Tarantino creates a reigned-in revenge Western without losing his style and flavor and his ability to make the audience feel at once tense and then satisfied. With Django Unchained, Tarantino is free from all of that pressure to keep up the quirk. He writes a great story whose infrastructure is a solid, wholly unflashy script that doesn’t rely on drawing out scenes for added suspense or offset deadly serious situations with lighthearted and fluffy conversation. Django isn’t completely void of these types of scenes that I describe. No, they’re definitely there (see Candyland dinner scene), but it’s all so organic in Django. I’ve come to regard the acting in a lot of Taraninto’s films to be purposely overdone, which is totally fine and it comes with the territory, but that’s not the case in Django, either. Indeed, I can’t recall ever seeing a film with so many strong male performances. It looks like Tarantino is checking off his “Genre To Do” list with every film he makes, but as long as it’s of Django quality, then I say have at it. I was satisfied having the Kill Bills to be Tarantino’s take at the Western genre, but oh no he comes out with a true, blue western with the style and sounds of Sergio Leone and with the wide, gorgeous look of John Ford. 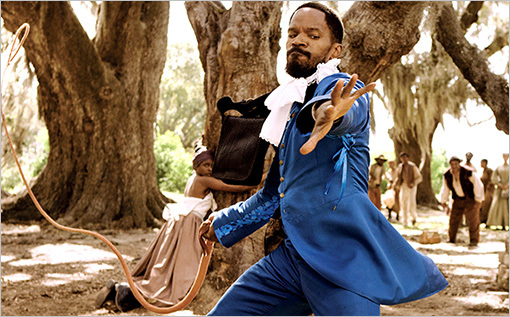 Django Unchained is, without question, the best film of the year. 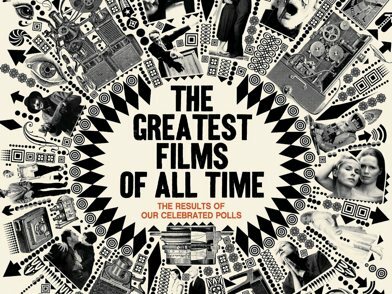 Top 10 lists are nothing to shake a stick at.Sight and Sound magazine publishes a “Top Ten Films of All Time” list every decade and go to great lengths to get an exhaustive list. A select group of international film critics submit their own top ten lists that are then compiled into one overall master top ten list. The first Sight & Sound Top 10 was published in 1952 and just a couple of weeks ago, the 2012 list was finally published. With the 2012 list came a new rule: Each film that is a part of a series must be counted as a separate film in and of itself. For instance, in 2002, The Godfather Parts I and II were included as 1 film and took up the #2 spot on the list. In 2012, each film must be counted separately. Gone with the Wind (#235) is so old that I’m afraid being this low on the list means it could already be too late. Rear Window (#53) is better than Vertigo (#1). Why is Barry Lyndon (#59) over Dr. Stranglelove (#117)? Apocalypse Now (#14) over Seven Samurai (#17)? Breathless (#13) over The Godfather (#21)? Why is There Will Be Blood (#202) so low? What is Mulholland Drive (#28) doing here? Where are the Coen Brothers?! If Vertigo can go from not making the Top 10 in 1992 to replacing Citizen Kane, a film that had been #1 since 1962, then what other films will make similar moves in future lists? Wall-E (#202) – Pixar’s representation will increase over time. If not for Wall-E, then for the Toy Story’s. Spirited Away (#202) or My Neighbour Totoro (#154) – over time, one of these will move up the list in appreciation for the director, Miyazaki Hayao. Killer of Sheep (#202) – only on here because of its highly praised re-release in 2007. The Shining (#154) or Barry Lyndon (#59) – Kubrick has 5 on the list. Mulholland Drive (#28) – does David Lynch need 3 films on this list? Which films would make your top 10?